So two things happened yesterday. First I read a letter by President Yoweri Museveni to Speaker Rebeca Kadaga, where the president referred to Bobi Wine supporters as “terrorists.” Throughout the letter the president kept referring to the violent activities of his opponents to justify military intervention in politics. Second, Nicolas Opio posted a video showing heavy deployment of the army and police along Lugogo Bypass. Effectively, government has gone into highhanded repressive mode. This method is not new in Museveni’s Uganda. What is new is it is the almost complete absence of government effort to develop a counter political narrative on the crisis it is facing. So violent repression seems to be the only chosen instrument of social control. For many people this may be evidence of increasing stupidity on the part of those in government. I was initially thinking the same way. But I am beginning to realize it’s actually a smart strategy ie someone has been thinking. The Museveni government has suffered extreme brand attrition lately. 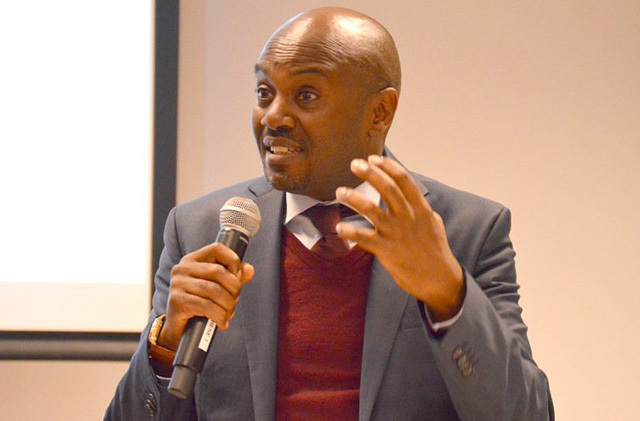 Within the elite circles of Uganda, especially youthful and professional middle classes, it is hard to find many who support the government and see in it the future they seek. Therefore increasingly, it is not cool to be seen to support Museveni. I meet few young people – professionals and students – who support the president and are passionate about him. Because it is not cool to defend him, they use pseudo accounts on Facebook and Twitter to do so. This is because they fear losing their own brand value within their social circles if they openly defend the president and the government. Cognizant of this brand attrition, I think someone in government has realized they must avoid fighting a war over a moral high ground. They must focus the war where Museveni has a decisive advantage and where both sides will not be differentiated by values. This is an old military strategy – always lure the enemy to fight on terrain selected by you because of advantages it confers upon you. Therefore action and visibility must be concentrated on those groups easily lured onto your favorable terrain. And this brings us to People Power led by Bobi Wine and Defiance led by opposition presidential candidate for life, Dr. Kizza Besigye. The core ideology and therefore support-base of these two groups (they are actually one group using different names) is militant and hence prone to violence and intimidation as an instrument of struggle. And this is exactly what Museveni needs – a violent opponent who can justify his own violent crackdown on opposition activities. When they throw stones at his car, throw chairs and bottles at Bebe Cool during a concert and violently chase him away, they justify military and police deployment and intervention in politics. And it is on the terrain of violence that Museveni commands a decisive advantage. People like Mugisha Muntu are difficult to fight violently because they are peaceful. They occupy a moral high ground rooted in values and principles as a foundation for their struggle. It is difficult to justify a violent crackdown on them inside Uganda and abroad even among NRM supporters themselves. Constantly violently cracking down on them can cause internal divisions in the system. While their values and restraint are their strategic asset, they are also their tactical liability: they may delegitimize state violence against their activities but it does not generate intense enthusiasm for them in the masses. If they are the most dominant part of the opposition they can cause internal divisions and weaken the resolve to violently destroy them. To counter their likely power, government has to prop groups that look and behave like it wants hence the focus on People Power and Defiance. Therefore Bobi Wine and Besigye may subjectively be the most intense critics of Museveni but objectively they are actually his strategic allies. They allow him to fight a war against the opposition of his own choosing, on his own terms and on the terrain ideal for his skills and competences – the military! 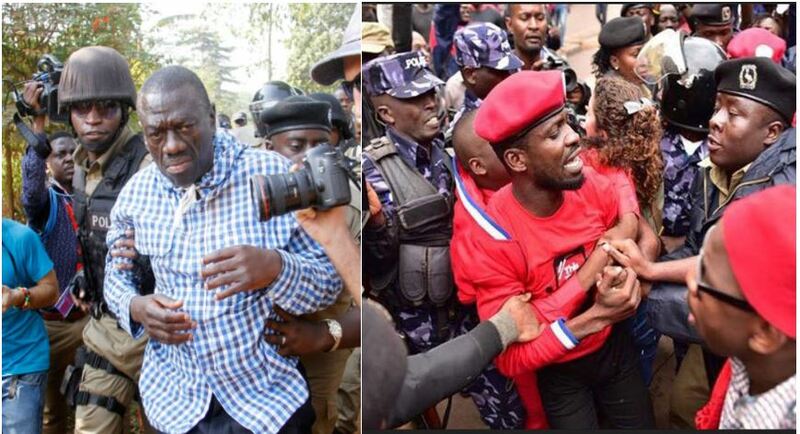 It seems to me that Bobi Wine and Besigye are good at tactics. But I find them weak on strategy. And that is where the problem really lies.